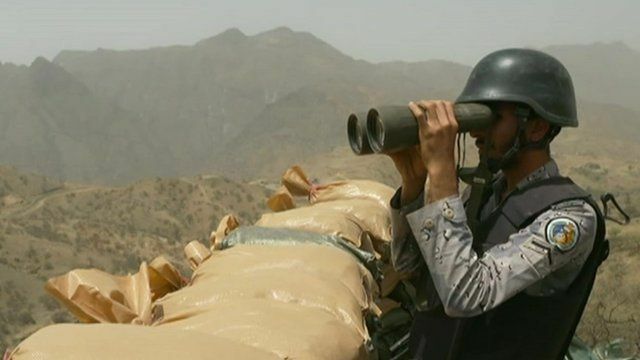 Saudi border guards 'on alert' Jump to media player The guards on the Saudi Arabian side of the border with Yemen are "on alert" for attacks by the Houthi rebels in control of parts of the country. As the conflict in Yemen rages, guards protecting Saudi Arabia's border are on high alert for attacks by Houthi rebels. The Saudis are supporting the Yemeni government in its conflict with the rebels, and have launched air strikes. Kim Ghattas reports from the border, which has been largely inaccessible to the international media.